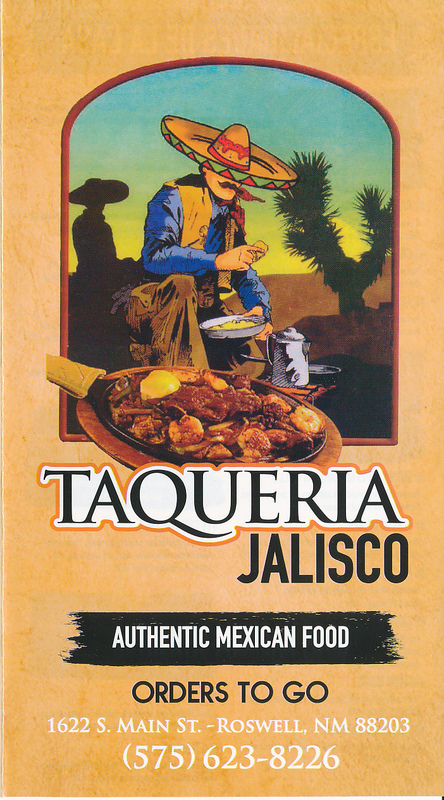 There are two things about the name Taqueria Jalisco that I think are misleading, although neither makes any difference in the enjoyment of the food. In border areas such as El Paso the name “taqueria” has a certain connotation that tacos will be the main emphasis of the restaurant. Tacos are a main focus here, but there is certainly a broad menu that includes just about any of the familiar Mexican items that you would like. Also the focus of the restaurant does not seem to be on Jalisco style food, although I was informed that this was the original residence of the owners. 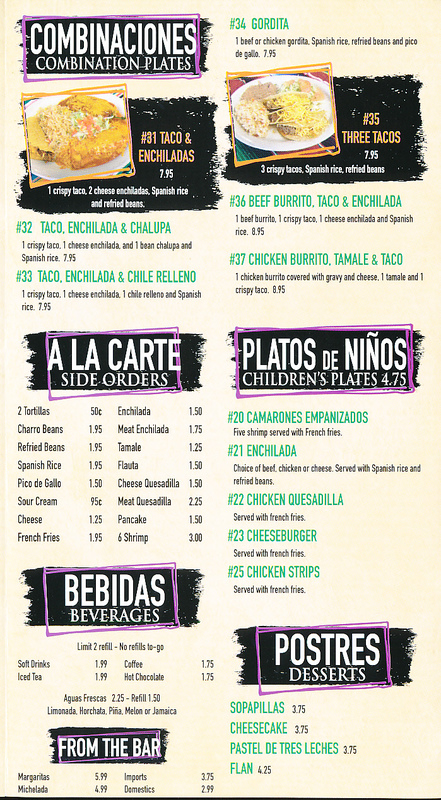 There are items on the menu that appear to be authentic (especially in the “Especialidades de la Casa” section), but this does not seem to be the case with everything. 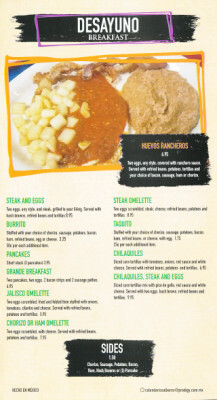 Still, when the food is as good as I found it to be, I have little concern about whether it originated in Jalisco. 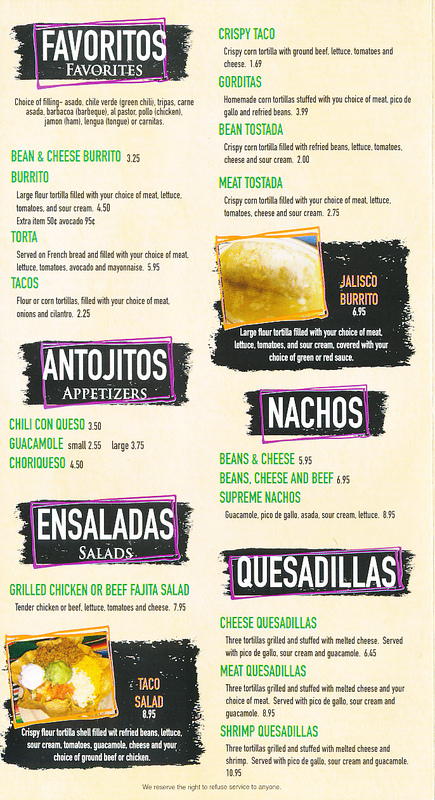 I did find the food comparable in quality and flavor to the Mexican food served in El Paso, and this is something that I think will please most people when they try it. 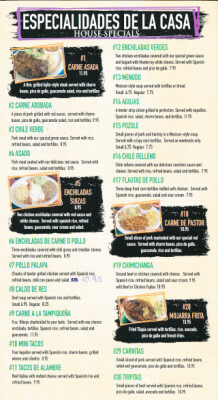 This is not New Mexican cuisine, but I think they combine Mexican recipes with New Mexico chile and other local flavors on some of the dishes. The one thing I can say for sure is that it is not Americanized in the manner that I see in many restaurants around the country. 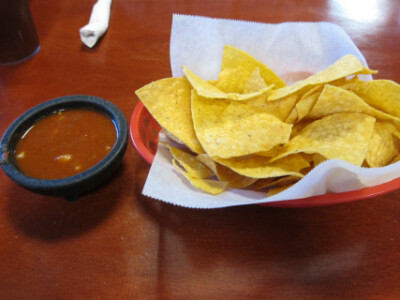 The Salsa has a very good flavor, is smooth (without noticeable chunks of onions or other vegetables), and has what is to me the right spice level (not fiery but not “gringo” salsa either). I liked the chips as well, and I think they are made in house. The Enchiladas Suizas were a somewhat unusual choice to be on the “Especialidades de la Casa” menu because this is apparently supposed to be a menu of authentic items, and these enchiladas are not like the ones I have had in Mexico. 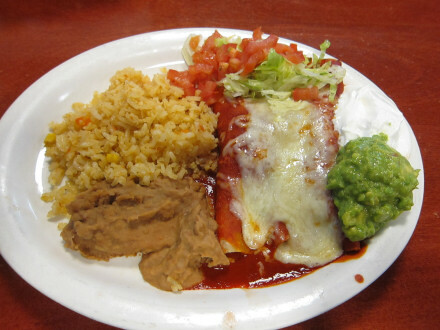 For instance they have changed the traditional green sauce to red, the red chile sauce seems to be from a local New Mexico source rather than from Mexico, and the sour cream is American style rather than the traditional Mexican crema. 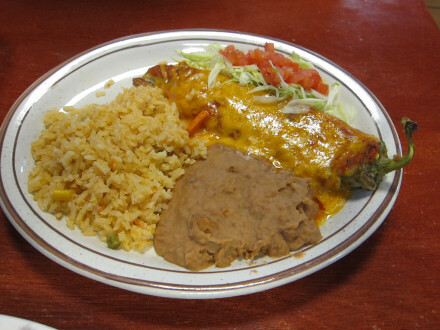 At first I was disappointed that I did not get traditional enchiladas suizas until I decided to skip putting the sour cream on top of the enchiladas, resulting in regular red enchiladas which were not only some of the best I have had anywhere, but were very reminiscent of the ones served in El Paso. This is a good thing because to me the local chiles in New Mexico and the El Paso area, along with the local way of making them into a sauce, are really some of the best anywhere. The inclusion of an excellent Guacamole makes this probably a better choice than ordering the regular enchiladas, and what I have determined is that it is better to just leave the sour cream on the side (note, though, that the sour cream will be served on top of the enchiladas unless you request that it be on the side). Others may like the sour cream more than I did, so it is worthwhile to at least ask them to bring it on the side. I think the Chile Relleno that I sampled also seemed to deviate from the traditional Mexican style as evidenced by the large amount of cheese on top. I also found it to be full of seeds (normally a negative), but whatever they did worked pretty well and made it come out with a good flavor. 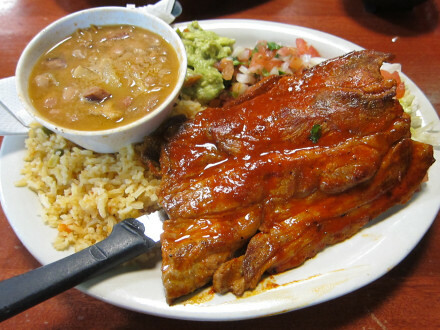 Carne Adobada is a traditional New Mexico style dish, so I decided to try this on a return visit to the restaurant (also its price was a dollar less than normal as a Friday special). With not much experience ordering this dish, though, I could not tell whether it was New Mexico style or it was more representative of traditional Mexican food. My feeling was that it was probably the latter, since the spice level was about three out of five on my New Mexico red chile scale. Also it was from the “Especialidades de la Casa” section of the menu which supposedly lists the Jalisco style dishes (and I think for the most part it does). In any case I really enjoyed the dish although I wish they had the option of a smaller portion size (even though I was happy with the price they charged for it). The Gordita is an item I did not try and am not including in my ratings, although I am able to include a photo of it. 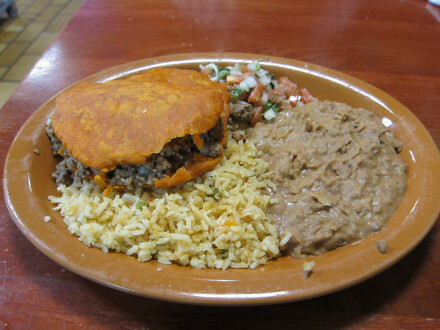 I was told it was good, and one thing I noticed is that it has a Chihuahua/ El Paso/ New Mexico style corn meal crust rather than one made with a flour tortilla which is common with the “gorditas” from the interior of Mexico (which I assume would include Jalisco). It is certainly not unusual for a gordita like this to be served in a New Mexico restaurant, although one thing I did find strange is that it is listed in the “Combination Plates” section of the menu although this is just one item with rice and beans (not what I normally consider as a combination plate). 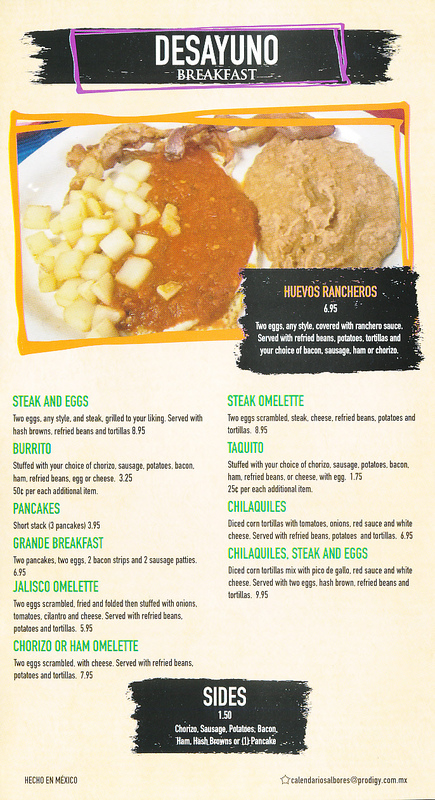 The “Especialidades de la Casa” section of the menu includes several Jalisco style dishes, especially the meat plates. I thought the enchiladas suizas were very good, but the red chile was El Paso style. 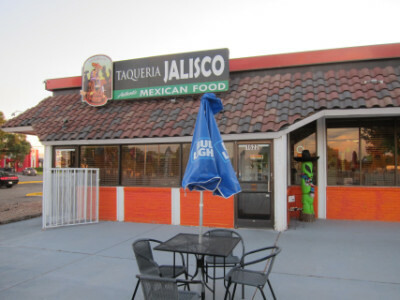 If you really want something authentic from Jalisco it is probably best to ask the kitchen because I do not think the menu is totally consistent, and the wait staff may not know. On the other hand, if you just want something really delicious that will not be a problem here, and I think any of the staff can help you make a selection you will enjoy. The Melon (cantaloupe) drink was thin but had a good flavor, especially with the mix of spices that are included. This is on my recommended list as well. My first visit here was on a Sunday evening, normally a slow time for restaurants, but this one was almost completely full. 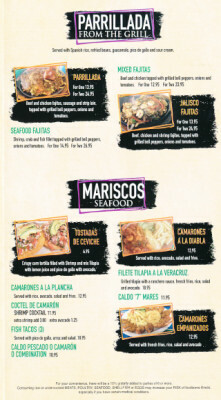 I think this is a good recommendation in a state where people have a large choice of Mexican restaurants. This entry was posted in New Mexico by Steve. Bookmark the permalink.